Washington, April 26 (IANS) Google CEO Sundar Pichai and Facebook founder and CEO Mark Zuckerberg, among others, have reportedly pledged to form a foundation in the name of legendary Indian mathematician Srinivasa Ramanujan. Russian billionaire and founder Yuri Milner held a screening of director Matthew Brown’s “The Man Who Knew Infinity”, a biopic on Ramanujam, over the weekend at the Silicon Valley, which was attended by the Who’s Who of US super-elite, according to a source close to the film’s unit. “Sundar Pichai (CEO, Google), Sergey Brin (founder, Google), Mark Zuckerberg (founder, Facebook), Brendan Iribe (CEO of Oculus VR), and some other fifty other ‘1 percenters’ of Silicon Valley were at Yuri Milner’s house in Los Altos. Yuri hosted a very private screening and dinner for the film and they came out with tears,” said the source. Some of those, including Zuckerberg and Pichai, who saw this deeply moving film on the life of mathematician who journeyed from anonymity in his village in Tamil Nadu to everlasting fame in England have pledged to form a foundation in Ramanujan’s name. 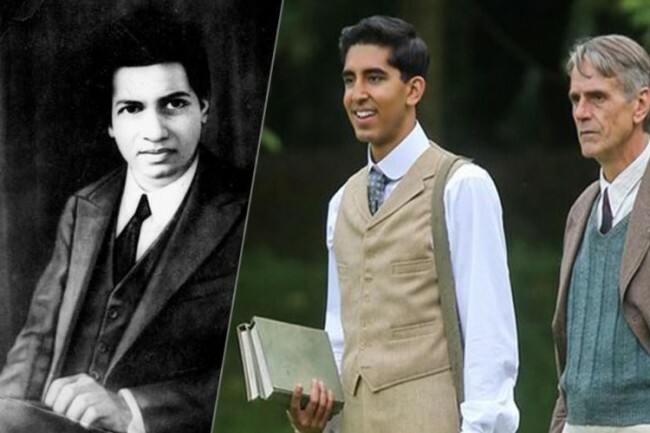 In the film, set in 1913, actor Dev Patel essays Ramanujan, a 25-year-old shipping clerk and self-taught genius, who failed out of college due to his near-obsessive, solitary study of mathematics. Though Ramanujan had almost no formal training in pure mathematics, he made extraordinary contributions to mathematical analysis, number theory, infinite series, and continued fractions. He passed away at the age of 32 in 1920. “The Man Who Knew Infinity”, which also stars Jeremy Irons, Devika Bhise, Stephen Fry, Toby Jones and Arundhati Nag, is slated to release in India on Friday.